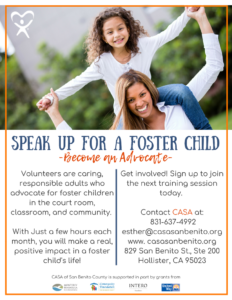 If you are interested in becoming an advocate, we would like to hear from you! Call or email for more information. We would be happy to meet with you to answer any questions you may have. Print our Become an Advocate downloadable PDF; this document covers all aspects of our program. Complete the Volunteer Advocate Application. Once your application has been received, a pre-training interview can be scheduled.